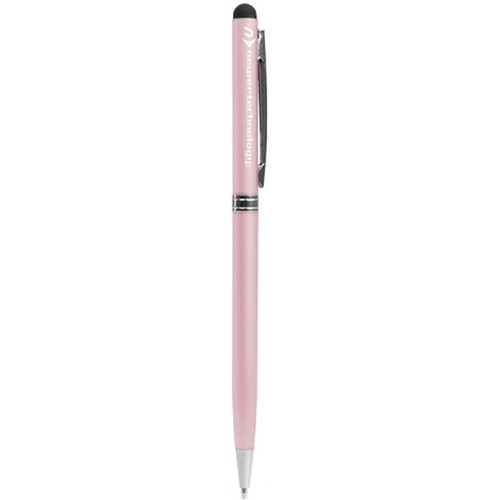 The pink NuScribe 2-in-1 Stylus and Pen from NewerTech is used to navigate, draw, sketch, take digital notes, or to turn pages on touch screen devices. When a traditional pen and paper is needed, the NuScribe's twist barrel operation reveals a smooth ball point tip with fluid ink coverage. Using a light, upright touch of the NuScribe stylus will provide the optimum input results and product longevity.